Many years ago in Feudal Japan, a Ronin and Master found themselves together on a crowded boat, crossing between two islands. The young Ronin leaped off the boat and drew his sword. 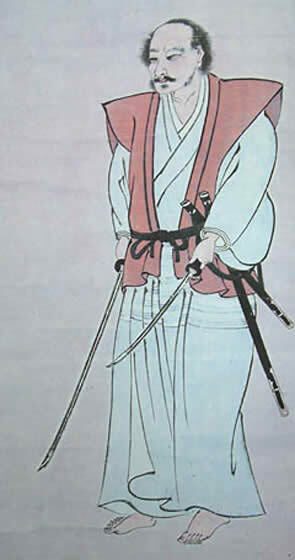 The Samurai Master, having borrowed the boat-drivers long steering oar, stood at the bow of the boat and thrust one end into the shore near the waters-edge. Then, with the strength of a man nearly half his age, he pushed the boat back into the open water, leaving the Ronin stranded on the island.